hosted by the Department of Health at their Westminster building. facilitated by Gill Ringland and Peter Bebb. Gill is CEO & Fellow of SAMI Consulting, a non-executive director of the Foresight Hub. Peter is the Founder and Director of Perendie, provider of a system which makes governance systemic, inclusive, transparent and predictive. 10.00 Innovation in Governance. Prof Jeff Ridley. Prof. Ridley referred to a number of documents in his talk. These included in the Resources page. Innovation is an important value in all enterprises – private or public. It can contribute to good corporate governance and motivate best practices. Innovation is also an important if sometimes neglected value in all auditing. Jeff will draw on the results of research he and Ken D’Silva have done into innovation in internal auditing and relate this to his current research into creative thinking and innovation in all auditing. This will be a participative discussion for everyone to contribute and innovate. Jeff is a former president of the Institute of Internal Auditors, Chief Internal Auditor of Kodak, author of several books on internal audit and a visiting professor at London South Bank University and University of Lincoln. 11.00 Innovation in Governance: from command and control to empowerment and teamwork Prof. Paul Moxey. See http://www.crsaforum.com/the-future-of-governance for a copy of presentation and supporting materials. Responses to recent scandals such as at Tesco, VW and several banks will likely lead to more command and control which could harm enterprise, innovation, creativity, trust, teamwork and workplace happiness. Drawing on work by Frederick Laloux in Reinventing Organisations and Causal Layered Analysis we will have an interactive session looking at the systems, world views, ideologies, myths and metaphors that have given us governance as it is today. We will consider how organisations and teams in them could evolve so that organisational life evolves to give greater freedom to self managing teams. It should be possible to have more control through less control as well as more innovation, value creation and job satisfaction. 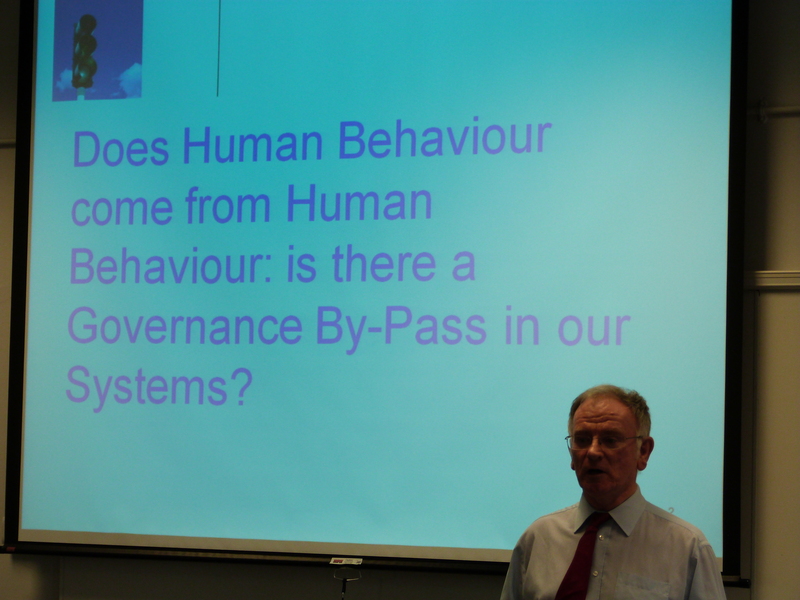 Paul co-chairs the CRSA Forum, is visiting professor in corporate governance at LSBU, a SAMI Consulting Fellow and a thinker, educator and consultant in governance, risk and culture. Dan is the Group Head of Risk at First Central Group, and is a 35+ year professional in the fields of Risk, Governance and Internal Audit. How can boards optimise organisational performance by promoting high ethical standards and effective ways of working? What part can board evaluation play in this? We are directing public and private sector organisations in a very changed world in the 21st century, using resources faster than nature can regenerate them and against a backdrop of ever- greater transparency. One of the biggest challenges we face is denial – failing, or being unwilling, to see what is in front us. And yet, here at the early part of the 21st century, perhaps we are reaching a tipping point in our understanding and willingness to take responsibility for our actions. In her widely acclaimed book, ‘Wilful Blindness’, Margaret Heffernan has explored in depth the unwillingness to admit to ourselves or colleagues the problems in plain sight that can ruin relationships, bring down corporations and contribute to global catastrophe such as climate change; at a recent event to promote Integrated Reporting, Mark Carney, the Governor of the Bank of England, spoke about the ‘Tragedy of Horizons’, acknowledging the failure of the business community and investors to think beyond the short term; in reporting arrangements, the International <IR> Framework, released in December 2013, is now gaining global momentum with more organisations signing up to and beginning to speak the language of sustainable business. And in 2015, Pope Francis will be addressing the UN in Paris on climate change and its devastating effects. an unhelpful manner of presenting information to the board and fear. We will consider the conditions that are needed to create environments which generate fresh, independent thinking where people are free to think with rigour, imagination, courage and grace and commend the application of the Thinking Environment methodology, pioneered by Nancy Kline, because today, in 2015, thinking for yourself is still a radical act. Mitzi Wyman is a solicitor by background who supports leaders and senior teams to make a difference and to develop cultures where everyone has a voice. She has a wealth of experience gained in the public and private sector as a regulator (the Law Society), Non Executive Director (NHS) and thought leader (the King’s Fund). She is a Senior Advisor to the International Integrated Reporting Council (theIIRC.org) a global coalition of standard setters and corporations transforming the way organisations communicate the story of their business. She has an MSc in Organisational Psychiatry and Psychology (KCL). Darryl chaired the Forum (then known as the CRSA User Group) in the mid 1990s when many organisations were experimenting with this new approach to assessing control and risk. 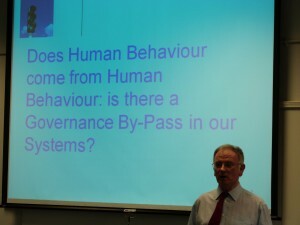 Much has changed in how organisations look at control and there is more regulation and prescription about what to do. Now that problems with culture have been identified as a major weakness in parts of financial services and in the public sector CRSA seems more relevant than ever. A potential framework of activity for boards to use governance to create value. Mark outlined how a framework developed by Paul Moxey and Adrian Berendt in the ACCA consultation Creating Value Through Governance could be used by boards to challenge their existing processes and use governance to create more value. 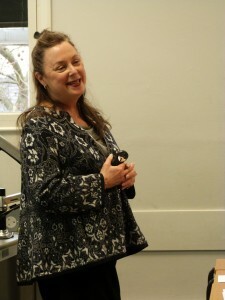 The meeting was held at Kings College London on 18 December. Why is Risk Culture and values important? How does Risk Culture and values link to OMG Business Strategy? How do staff at OMG strengthen Risk Culture? How does OMG measure Risk Culture? 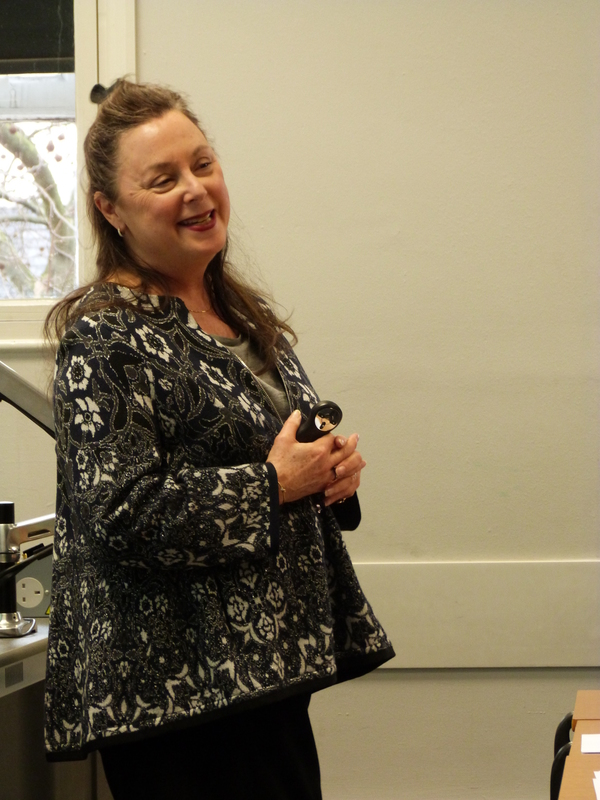 Professor Vlatka Hlupic’s told the Forum about her new book, The Management Shift, awarded Silver Medal in the Leadership category of the global 2015 Axiom Business Book Awards. Finally, there was a lively discussion about the future of the CRSA Forum.